Description: Tombstone of Hon. S.R. 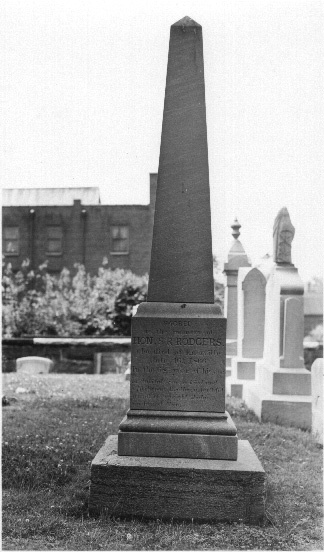 Rodgers in Old Gray Cemetery, Knoxville. Inscription: "Sacred to the Memory of Hon. S.R. Rodgers, who died at Knoxville July 16, 1866, in the 68th year of his age." Historical Note: Rodgers was a District Justice, Knox County, Tennessee.